2018, photo taken by April Hernandez. Located at 200 N Main, directly across the street from the current Lincoln Library building. 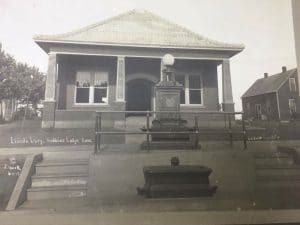 Building was completed in 1912 and housed the Library until October of 1966 when it moved to a building across the street that had formerly been a grocery store and a tire store. 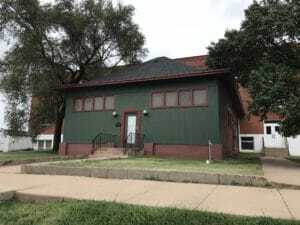 While the video calls the old library building the Wisner Library it was in fact the Lincoln Library. The Wisner Fountain stands out in front of the Lincoln Library.